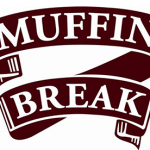 -Selling muffins, wraps, toasties, pastries, wraps, cakes, salads and soups as well as coffee and cold beverages. -Trading Hours: 7 days. Mon-Wed 6:30am-5pm, Thurs 6:30am-9pm, Sat 6:30am-5pm and Sun 8am -4pm. -Yearly net profit is around $290,000 inclusive one owners wages. Please contact Alice on 0432 843 715 to arrange an inspection.